Mthokozisi Shezi and Dane Paterson both finished with five-fors, helping Cape Cobras to a 170-run victory against Titans in Paarl. Cobras, batting first, lost wickets at regular intervals, but a 61-run stand between Dane Piedt (66) and Travis Muller for the ninth wicket powered the team to 308. Titans replied with 50-plus stands for the first two wickets, but lost their momentum after Graeme van Buuren's dismissal in the 39th over. Shezi collected 6 for 51, as Titans folded for 175 in 65 overs. 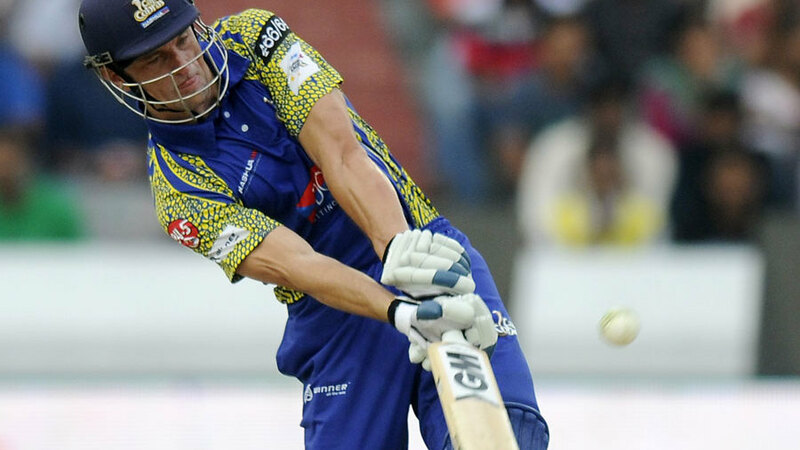 With a 133-run lead in hand, Dane Vilas further enforced Cobras' advantage, his unbeaten 100 guiding the team to 341 for 7 after which they declared. It meant Titans needed 475 for the win, but once again, they failed to capitalise on a strong start. Dean Elgar and Henry Davids both stroked fifties during a 154-run association for the second wicket, but Paterson ran through their middle order, picking up 5 for 63 to bowl them out for 304. Knights just about hung on for a draw against Dolphins in Durban. Following on after conceding a first-innings lead of 218, Knights were buoyed by a 110-run opening stand between Gihahn Cloete (80) and Reeza Hendricks (45), but Mathew Pillans gave Dolphins an opening, taking 4 for 62 to wreck Knights' top order. Knights continued to lost wickets at regular intervals, and at 202 for 9, were heading towards an innings loss. However, the final-wicket pair of Malusi Siboto and Quinton Friend dug in, playing out almost 16 overs to secure the draw. The result would've been a blow to Dolphins, who dominated the game after compiling a first-innings total of 455 for 5. That score was built around centuries from Divan van Wyk (171) and Morne van Wyk (103*), as well as a patient 67 from Daryn Smit. Pilans then had Knights in bigger trouble, as he notched six scalps (6 for 67) to bundle them out for 237. Dolphins, though, couldn't go all the way and register only their third win of the season. Bad light cruelly denied Lions the chance to extend their lead at the top of the table. Chasing just 98 to beat Warriors in East London, Lions made their way to 81 for 4 with 14 overs still scheduled but the light faded and no further play was possible. Early progress was stalled by a burst of 4 for 13 from Andrew Birch. Temba Bavuma and Thami Tsolekile steadied and were taking Lions to victory before they were denied by the light. Earlier, it looked light no chase would be needed when Warriors slipped to 100 for 5 still 74 runs behind but Colin Ingram and Darryl Brown settled with a stand of exactly 100, both men making half-centuries. Chris Morris removed both and Hardus Viljoen picked up 5 for 70 as Lions reduced the target to double figures - which would have been fewer but for a 10th wicket stand of 32 - only to be denied in their pursuit by the dying of the light.